Used on antique Rolltop desks. The Asec 4 Lever No. 185 Brass Desk Lock is a mortice cabinet lock often used on vintage roll top desks. The wing bolts automatically engage into the strike plate on closing. Supplied with 2 keys. 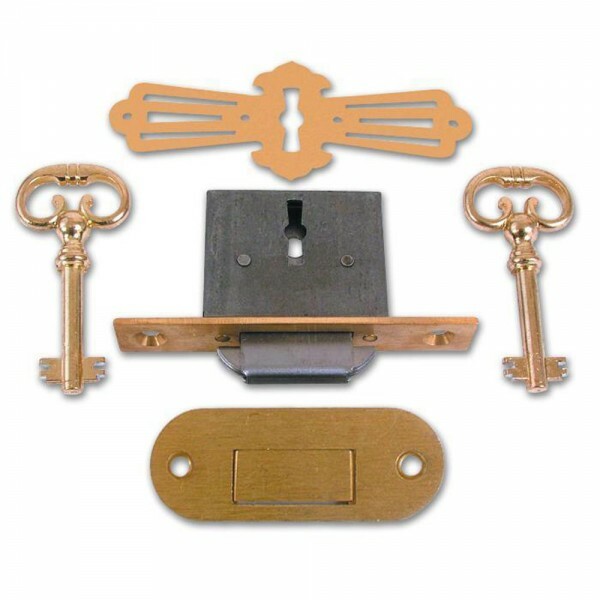 Supplied complete with decorative escutcheon and keep plate.